Social Security was designed as a “safety net” of sorts. Aside from your personal savings, and an employer pension, Social Security provides you with the money you’ll need during your retirement. This benefit plan reaches nearly every family in America and is a significant source of income for many seniors. There are about 38 million people who rely on Social Security for at least part of their income, and this number continues to grow as more and more people retire. Understanding how your benefits work will allow you to make the most of it. The most popular view of Social Security is that it is merely retirement income. However, there are actually several types of benefits paid out under the Social Security plan. The program pays benefits for the disabled, pays money to a spouse or child of someone who receives benefits, pays money to a spouse or child of a worker to died, or pays money to a dependent parent of a worker who died. Because Social Security provides more than just retirement income, you may be eligible for Social Security prior to retirement, depending on your circumstances. During your working lifetime, you pay Social Security tax and earn “credits.” As of 2012, you earn 1 credit for every $1,130 you earn. You get a maximum of 4 credits per year. You will generally need 40 credits to be eligible for Social Security. This usually translates into at least 10 years of work. Choosing when you retire dramatically impacts some of your benefits. If you choose to retire before your full retirement age, for example, you’re retirement benefits paid under the Social Security system will be lower than if you had waited until your full retirement age. If you were born between 1943 and 1960, for example, your full retirement age would start out at age 66 (if you were born in 1943) and gradually increase to age 67 (if you were born in 1960). If you delay taking benefits beyond your full retirement age, you’ll receive a gradual increase in your benefit amount until you start taking benefits or until you reach age 70, whichever comes first. On the other hand, you can always decide to take your Social Security benefits early. However, if you do, you’re income will be chopped down. At age 62, you may start taking benefits at a reduced rate of 1 percent for each month you start your benefit payment before your full retirement age. That means that if your full retirement age is 66, and you sign up for Social Security when you’re 62, then you would only receive 75 percent of your full benefit amount. You may also continue working while receiving benefits. However, if you do, you may receive reduced benefit payments. In general, if you receive benefits before your full retirement age, $1 in benefits will be deducted for each $2 in earnings you have above the annual limit. In 2012, this limit is $14,640. In the year you reach full retirement age, your benefits are reduced $1 for every $3 your earn over the annual limit. Obviously, working and receiving benefits is possible, but far from idea. You paid in a lot of taxes. Consider holding off on taking benefit payments until you absolutely need them. Social Security pays a disability benefit if you become disabled. This benefit payment is a little different from the private plans you might be used to. If you qualify for benefits under another government or private disability plan doesn’t, you will not necessarily qualify for benefits under Social Security. For example, most companies and government agencies consider a note from your doctor as mostly or totally satisfying the requirements for disability. The Social Security Administration does not consider this an automatic qualification for benefits. If you do become disabled, however, don’t wait to apply. The process may officially take several months, but many people see waiting times of up to a year before benefit payments begin. In general, your family members are eligible for up to half of what you receive for retirement or disability up to 150 or 180 percent of your total retirement or disability benefit. The exact maximum benefit depends on various factors including the age you claim retirement benefits and the age of the family member claiming benefits under either the retirement or disability benefit program. Your beneficiaries are also entitled to a one-time payment of $255 at your death. While this doesn’t pay for much, it is still a benefit payable under the Social Security Benefits program. The payment is normally paid to your spouse or surviving children. Even the most thrifty people in the world need a budget. As you get older, budgeting becomes increasingly important. In fact, it will often dictate whether you’re able to retire or not. Fortunately, a basic budget is all that’s required to keep tabs on your income and expenses. Once you’ve organized everything through a budget plan, it’s time to revamp your savings to ensure you meet future financial goals. Income – Write down all sources of income. If you and your spouse receive income from only one source, this part of the budget will be easy. Expenses – Gather up all of your expenses for the year. While many people sit down to think of monthly expenses, remember that some expenses might be paid annually or semi-annually like taxes or insurance, for example. Include every expense that you have for the year. Then, break everything down into monthly amounts, even if you don’t pay certain expenses on a month-by-month basis. Spreadsheets – A basic accounting ledger can work. The only problem is the amount of manual work involved with this method. If you’re comfortable with writing each income and expense item as they happen, just pick up a basic ledger book from an office supply store and use that. If you’re savvy with a computer, use anything from Microsoft’s Excel program, or any of the Excel-like clones on the market. These spreadsheet programs mimic an accounting ledger and will allow you to accomplish the same thing. The difference is that you can automate some aspects of the data entry process and there won’t be any erasure marks in your ledger. Software Programs – Software programs do a lot to automate the budgeting process. If you’re looking for simplicity, this is the way to go. Computers won’t get the math wrong, and will often save you a lot of time in the long run. Generally, you can enter the income or expense item one time and many programs will automate as much of the record keeping process as possible. Variable expenses won’t be automatically accounted for, but that’s because they change each month. Ditto for any variable income you receive. List all of your income as an “asset” in one column on your ledger (you can also use an entire page devoted to assets/income) and one column or page for expenses. This way, you’re only dealing with one or two pages, at most. Software programs already have a built-in process for this and you’ll have to follow whatever format the software already uses. When tracking your income and expenses, pay special attention to variability in your budget. For expenses, it may be helpful to build up a cash reserve. This reserve will help to manage that variability and won’t leave you bouncing checks when you need to pay an unexpectedly large expense. Generally, a cash reserve equal to one month’s expenses is sufficient. While there’s no need to track and update your expenses every day, you could do this. Ideally, you would track and update your budget each week to make sure your income and expenses are not veering off-track. The Reconciliation Method – the reconciliation method is one you are probably most familiar with. Every bank in the United States encourages this through the use of “balancing your checkbook.” In effect, you reconcile your expenses after you have spent money. Notations are made in your ledger after each expense. Then, at the end of the week or month, you reconcile those expenses. It’s labor intensive, and it could potentially leave you bouncing checks if you’re living paycheck to paycheck, but it’s an old and trusted method for many folks. The Envelope Method – The envelope method prevents you from overspending by allocating all of your money to envelopes. Each envelope represents a different expense. Income is generally not tracked using this method, so it’s considered a simple cash flow planning method. Today, various computer software programs eliminate the need for physical envelopes but you could certainly stuff money into an envelope and carry it around with you if you wish. Make value-driven goals. Your financial goals should be directly tied into your values. Don’t pursue goals that you think a financial planner would want you to pursue. Also, don’t worry so much about what your neighbor, friends, and family are or aren’t doing. Make goals oriented around things that you really want to do now and into the future. This is the secret to staying motivated through to the end. Never sacrifice your values. It’s never a good idea to sacrifice something that you really find valuable. For example, many financial advisers might tell you to stop going to the movies on Friday night or to stop going out to Starbucks for coffee every day. If these things are important to you, then you should do them. You should, however, weigh everything you do against your long-term goals. The idea is to not do anything that would sacrifice the “here and now” for the future and vice versa. It’s difficult, but well worth it in the end – you won’t feel like you’re “giving up” anything when saving money. Don’t try to take on too much at once. You can only focus on so many things at once. If you find yourself saying “I have too much on my plate,” it could be a sign that you’re stretching yourself thin. You can’t possibly save money for every single contingency, and you can’t pursue everything little thing that interests you in the least little bit simply because there are only so many hours in the day. Choose your top values in life to pursue, make a commitment to them, and don’t look back. Some financial advisers suggest that, if you’re in you’re 50 or over, you should be saving at least 20 percent of your income. Much of your savings needs are driven by your financial goals, and what you want to do in the future, however. If you already have $500,000 saved up, and you don’t plan on ever fully retiring, you may need less money that if you only have $50,000 saved up. A good retirement planning calculator will help you determine how much you should be saving. Investments can be a tricky topic. In general, never use investments that you don’t understand. That’s not to say that you shouldn’t invest in anything if you don’t really understand anything. You should investigate a variety of simple to use investment products (to start out), learn how they work, and then save and invest enough to meet your financial goals. Some good investments to research would be bank CDs, annuities (to guarantee your income when you retire), index mutual funds, precious metal-based investments (if you are worried about inflation of economic uncertainty), and dividend-paying stocks from well-established and financially stable companies. You can find a wealth on information on sites like Investopedia.com and by talking to an experienced financial adviser. Consumer protection is something most people don’t think about. However, the U.S. Government does have special consumer protection laws set in place for people as they get older. Most of these protections are specifically for seniors, but you should know about them even if you haven’t entered your “golden years” just yet. Each state has become part of an initiative to protect seniors from abuse and neglect. As a result, each state lists a hotline number. This hotline number is not for emergencies but rather for ongoing abuse. Abuse can be both physical or mental and includes physical abuse, verbal abuse, sexual abuse, exploitation, neglect, and abandonment. You can report abuse or you can call this number yourself if you think you’ve been a victim of a scam. A report will be taken and someone will follow up with you about your case. The National Center on Elder Abuse is a federal agency directed by the U.S. Administration on Aging and provides an additional layer of protection at the federal level. The NCEA provides a wealth of resources and information for you and your family to make sure you are never a victim of abuse. You and your family believe that you will be safe in the hands of a qualified skilled nursing facility. However, reports of abuse are commonplace. It’s unfortunate, but some certified nurses assistants and even nurses themselves may not treat you with the full respect that you deserve. Even if they don’t, there’s no excuse for physical or verbal abuse. The state protects you, or your loved ones, if you’re admitted to a facility and are abused by the staff. Avoiding scams is sometimes as easy as running stopping and thinking about what is being offered. If something sounds too good to be true, it often is. Scams come in all shapes and sizes, but are normally cloaked in promises of high investment returns or offshore tax havens. While these aren’t the only types of scams out there, the common thread running between them is that they promise some secret method of achieving some kind of success that isn’t available to other people. Often, scam artists want you to keep your activities a secret, and they won’t be totally upfront and transparent about how their system, strategy, or offering works. You should not have to push too hard for answers. The scam artist doesn’t like being pushed for answers, however, and will likely become increasingly evasive about what he’s doing. Don’t settle for partial answers. Always demand full disclosure and regular progress updates and statements (if applicable). Lastly, you should understand the strategy being suggested. If there is any part of an investment, tax, or other financial strategy you don’t understand, don’t do business with the seller of such advice. Move on. You’ll be glad you did. Health care is the administration of diagnostic and medical treatment services. With the recent changes to health care laws, insurance companies are now required to pay for some of the services that you used to have to pay for. These services include both preventative and non-preventative services. Seniors are especially at an advantage under the new health care laws since they receive a long list of new free-of-charge services that were not previously available under the old laws. If you’re over 50, then the insurance company must now pay for colon cancer screening tests. You receive free mammograms every 12 months. You receive cervical cancer screenings, including a pap smear test and pelvic exam. You receive free cholesterol and other cardiovascular screenings. You get free diabetes screenings. You receive medical nutrition therapy to help manage diabetes or kidney disease. You receive prostate cancer screening. You get an annual flu shot and the hepatitis B vaccine. You get free bone mass measurements. You receive abdominal aortic aneurysm screenings to check for bulging blood vessels. The new health care law also makes prescription drugs more affordable. The law forces the cost down. The result is that your out of pocket costs are lower. For example, in 2012, consumers pay just 50 percent for prescription drugs and 86 percent for generics. However, in subsequent years, these costs are pushed lower and lower until 202, when brand-names will cost just 25 percent and generics will also cost 25 percent. The new health care law also makes changes that are expected to reduce waste and fraud. The Medicare Trust Fund will be extended to at least 2024 and your premiums should go down during this time. Included in the changes is better coordinated care so that the odds of you being readmitted for the same condition drop significantly. Hospitals will also be given strong incentives, like the Hospital Value-Based Purchasing Program, to improve your quality of care. These incentives reward hospitals by paying them based on the quality of the care they give you, not just the quantity of the services offered. Finally, significant reductions are will be made in regards to administrative costs, insurance company profits, and other overhead costs. All of this translates into lower out-of-pocket costs for you. Insurance might not be at the top of your priority list, but it’s important to pay attention this this aspect of your finances – especially when you’re over 50. Think of insurance as a special type of savings for you and your spouse. This “savings” is really just you leasing money from an insurance company. You sign a contract, called an “insurance policy.” The insurer then promises to give you money when certain events – spelled out in the contract – occur. Car insurance, for example, may pay if you’re in an automobile accident. Health insurance pays when you’re in the hospital or go to the doctor. Insurance takes the burden off of you to come up with an endless amount of money so that you don’t have to plan for every contingency. In this sense, insurance is essential. If you didn’t have it, you would probably never be able to realize your retirement dreams. There are several different types of insurance that are especially important as you get older. Part A: This part of Medicare is also called “hospital care” and covers inpatient hospital visits, skilled nursing care, hospice, and home health care. Part B: This part of Medicare helps cover doctors’ visits and other health care providers’ services, outpatient care, durable medical equipment as well as home health care. It also provides coverage for some preventative services like pap tests, flu shots and mammogram screens. Part C: This part of Medicare is run by Medicare-approved private insurance companies. It’s known as “Medicare Advantage” and provides a way for you to get the benefits for services covered under parts A and B. Most plans have prescription drug coverage and may also include extra benefits at an extra cost. Part D: Medicare part D helps cover the cost of prescription drugs. It may also lower the cost of those drugs and help protect against higher costs in the future. This part of Medicare is also run by Medicare-approved private insurance companies. Long-Term Care Insurance: No one likes to think about the worst-case scenario, but it’s a fact of reality. Internal reports of some of the largest life insurance companies in the world consistently find that roughly half of all people over the age of 65 may need some type of long-term care. This is what this insurance is for. You can play the odds on this, but the costs of private or skilled nursing care are awesome and can easily bankrupt you. Long-term care insurance is a specialized form of health insurance sold by private insurance companies. This type of insurance provides you with a daily allowance and pays for your expenses associated with a skilled nursing facility or with private home health care. You can choose lifetime plans, that provide coverage for your entire life, or plans that only cover you for a specific period of time. While Medicaid may provide you with coverage in your old age, this is becoming less common and harder to get, since you must essentially be put into poverty before you get government help of any kind. Long-term care is one of the most neglected types of insurance yet it is possibly the most important. Dental Insurance: Dental insurance is often available through private insurers. The coverage works similar to how any dental plan would work. If you qualify for coverage, an insurance company will pay for the costs associated with regular cleanings as well as for things like dentures or other related work. Automobile Insurance: Most automobile insurance companies offer discounts for people over 50. This is due, in large part, to the experience you’ve gained over the years as a responsible driver. Insurers, statistically, know that you are less likely to be involved in an automobile accident than people who are younger than you. Be sure to ask for a discount based on your age. Homeowner’s Insurance: Homeowner’s insurance covers damage done to your residence as well as liability coverage if someone is injured on your property. Damage or loss to your home is spelled out in the policy contract along with any deductibles that are required before the insurance company kicks in any money to pay for your claim. Damage to others is covered under a liability part of the policy. Your personal property, additional living expenses if you have to move out of the home while repairs are being made, and medical expenses can all be covered. One thing that’s not covered in flood and earthquake damage. You must ask for these types of coverages specifically or you won’t get them. Life Insurance: Who needs life insurance when the kids have moved out? You do. Life insurance is the Swiss army knife of financial products. When your kids are grown and gone, the policy still provides additional income for your spouse if you predecease her. A new life insurance policy purchase can also make it easier to choose what type of pension payment to receive if your company offers a pension. Some life insurance policies also offer comprehensive long-term care insurance riders and other benefits that might reduce or eliminate the need for multiple, and separate, insurance policies. Finally, life insurance makes it easy for your heirs to pay for your funeral and burial costs. An annuity is a type of insurance policy that converts your savings to monthly payments. These payments are guaranteed for your lifetime or a set period of time. Annuities are often regarded as a retirement planning tool because the product helps you budget your entire life’s savings during retirement. Once you’ve converted your savings to guaranteed monthly payments, you cannot get your savings back. 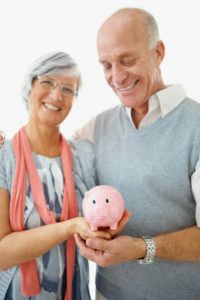 However, some annuities, called deferred annuities, act more like a savings account with the insurance company with the option to convert some or all of that savings to monthly payments in the future. This type of insurance is one of the most important policies you can buy when you retire, since it ensures you’ll never run out of money regardless of how long you live. The insurer just keeps paying (even if you otherwise would have depleted your savings). You probably think that once you retire, your taxes will drop off a cliff, right? Not so fast. Did you know that you could end up in a higher tax bracket than when you were working? Your Social Security income could be taxed, and the money you deferred until retirement could end up coming back to bite you. It doesn’t have to be this way, but you have to start doing some planning right now to avoid a disaster. Traditional retirement accounts are sly devils. They promise you tax deferred growth on your savings at the cost of paying taxes later when you make withdrawals. The problem with this approach is that, if you’ve done well in your retirement account, you will be paying more in taxes when you retire, not less. This is because out tax system is progressive – the more you make, the more they take. To avoid falling into this kind of tax trap, take a good hard look at your retirement accounts. If you have any traditional plans, assume that you’ll be in at least the same tax bracket as you are in now. This makes things easy to deal with. You can’t know the future, so just operate on your present knowledge about tax rates. During retirement, you may only be able to withdraw between 2 and 4 percent, depending on how you have your assets invested. If you are invested at all in the stock market, you should figure closer to the 2 percent mark for a safe withdrawal rate. When withdrawing money from your retirement accounts, you’ll pay ordinary income tax rates on all income withdrawn. If you want to retire early, but you’re under 59 1/2, you can take advantage of a little-known IRS rule called 72(t). 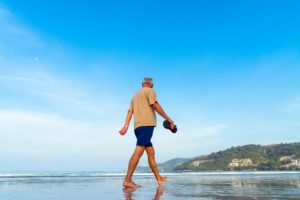 IRS rule 72(t) allows you to make withdrawals based on your life expectancy before the normal retirement age of 59 1/2 (for all qualified retirement plans). The withdrawals have to be equal and substantial. This means that you can’t take $1,000 one year and $5,000 the next year. Finally, once you start taking payments, you must continue taking them for at least 5 years or until you reach age 59 1/2, whichever longer. If you decide to take withdrawals without electing a 72(t) distribution, you pay ordinary income tax plus a penalty of 10 percent on all money withdrawn. You still pay the tax on the 72(t) withdrawals, but at least you avoid getting dinged by the penalty. Your Social Security income might be taxable when you start taking payments. In general, if all of your retirement income, plus one-half of your Social Security benefits, exceeds a certain threshold, then your benefit payments are taxable. If you’re single and your income is between $25,000 and $34,000, then you may have to pay tax on up to 50 percent of your Social Security income. If your income exceeds $34,000, then up to 85 percent of your Social Security benefits are taxable. If you’re married, and filing jointly, you and your spouse’s combined income determines the taxation of your benefit payments. If your combined income is between $32,000 and $44,000, then 50 percent of your benefits are taxable. If your combined income is over $44,000, then 85 percent of your benefits are taxable. If you’re married, but filing separately, there’s probably no way for you to avoid paying tax on Social Security benefits, almost regardless of your income. This is quite a blow, considering those benefits were derived from tax payments you’ve made your entire life. One way around this is to reduce your income from retirement accounts. Take early distributions under 72(t) from your retirement account or convert some or all of your money to a Roth IRA as Roth accounts do not impact the means testing for taxation of Social Security benefits. If you’re using IRS rule 72(t), and you don’t need the income, you could fund a non-qualified annuity or a high cash value life insurance policy. While the money is in either of these insurance polices, it will not count against you when receiving Social Security benefits. The other way to avoid this hideous taxation is to take full advantage of tax deductions open to you when you’re older. The IRS allows seniors special tax deductions that most people don’t receive. This is a benefit to you as you enter retirement (i.e. you must be at least 65 years of age to claim these benefits). It’s good to know about these benefits now, however, so you can plan ahead. Standard Deduction – If you don’t itemize your deductions, you can take advantage of a higher standard deduction. This deduction amount changes from year to year but is higher than what most people are allowed to claim. Medical and Dental Expenses – Medical and dental expenses add up. Fortunately, they add up on your itemized deduction list too. Take these, and reap the rewards. Accelerated Death Benefits – Some life insurance companies allow you to accelerate the death benefits on the policy if you suffer from a chronic, critical, or terminal illness. The IRS allows for tax deductions in all three cases. Miscellaneous Itemized Deductions – You can deduct the cost of subscriptions to investment newsletters and online services if you itemize deductions. You can even deduct financial planning and attorney fees, but these last two deductions are subject to the 2 percent of adjusted gross income floor. Charitable Giving – If you give money to a charity, don’t forget to write this off on your taxes as a charitable contribution. Dependency Exemptions – Take a deduction if you support someone, like your parents. You can do this even if your parent lives in a nursing home. The person who is your dependent must meet certain maximum gross income requirements and in some cases you can file as “head of household,” which is very advantageous from a tax perspective. Estate Tax Deduction – If you’ve inherited something that you have to pay income tax on because the person who left it to you didn’t pay the tax, you might be eligible for a special tax deduction. For example, if you inherited an annuity, or some other source of income, you could take a deduction if you itemize your deductions for the portion of the federal estate tax related to that property. When in doubt, ask a tax attorney. While the IRS does spell out tax deductions for you, trying to set up early withdrawals from a retirement account, as well as taking all of your tax deductions can sometimes be confusing. Even for the savviest person, doing the paperwork is often a daunting task. At the very least, get someone to double-check your work so that you stay out of trouble. If you do some simple tax planning now, your retirement future will be a lot brighter. A reverse mortgage is a federally insured financial product that you can use to tap into equity in your home. These are mortgages, but unlike most other types of loans you’re used to. With a reverse mortgage, you retain title to your home, do not make payments to the bank, and yet the bank cuts you a check for the equity in your home or monthly payments stretched out over time. Why would a bank be willing to do this? Like a traditional mortgage, the bank secures the home as collateral. In that sense, the loan works like most other loans. When you pass away, or you move out of the house, the bank will require full repayment of the loan. If you do not repay the loan, the bank will take possession of the house and sell it at auction. Mortgage fees and closing costs are often charged to the equity of the home, which just means that they will be subtracted from the amount you receive from the bank. There are no credit checks associated with the loan, but some banks may inquire about what your heirs will do to repay the loan. The bank won’t come after your beneficiaries for the money, but banks often request a mutually beneficial collaboration between you and your heirs to either help sell the home or use financial products like life insurance to repay the mortgage at your death. Reverse mortgages are excellent when you plan on staying in your home until you die. If you want to get the most out of your house, then a reverse mortgage gives you the ability to tap into the value of the home without worrying about repaying it during your lifetime. The obvious advantage to this is, of course, peace of mind. You don’t have to stress over yet another bill. The loan is also good to use when your finances are stressed and you need another source of income. The equity in your home could sustain you for the rest of your life, provide emergency funds, or supplement your other sources of income if and when needed. To make your reverse mortgage last, financial advisers often advocate the use of an annuity and possibly life insurance in combination with a reverse mortgage. This does two things. First, the annuity guarantees you a lifetime income. Since it’s technically possible to spend your entire equity before you die, the annuity gives you a safety net and ensures this will never happen. A recommendation to purchase life insurance is sometimes made when your children want the home. A life insurance policy is purchased on your life in the amount of the loan. The death benefit proceeds would then be used to pay back the mortgage at your death. Reverse mortgages can also be used to pay off an existing mortgage on the home. By refinancing the mortgage into a reverse mortgage, you can effectively stop making mortgage payments. This strategy takes advantage of your indebtedness to the bank for most of your life. While your loan is never “wiped out,” you gain some of the advantages of having a “free and clear” home without actually having to repay the loan. This is especially helpful if you have a very large mortgage payment, and could free up several hundred or even several thousand dollars for you to spend on other things. There may be times when carrying a traditional mortgage is beneficial for you. For example, if you and your financial adviser agree that you can use investment earnings to make your mortgage payments, it may be beneficial to keep the mortgage on your home. If paying off your mortgage with your savings would radically reduce your retirement income such that you would not have enough money to pay your ordinary bills and expenses, keeping your mortgage is almost a no-brainer. 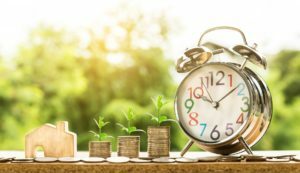 The general rule here is that if your investments can earn more than your mortgage is costing you, regardless of the specific interest rates involved, then it’s generally a good idea to keep your mortgage. Even if this means paying a mortgage until you die, those payments are negated by the strength of your investment earnings. You might think that you are all set with your financial planning needs, but one overlooked area of planning is estate planning. Drafting a will or trust is crucial if you have any assets you want to pass along after you pass away. Both wills and trusts are legal devices that you can use to provide for the distribution of your assets upon your death. Whether you use a will or a trust really depends on how many assets you have, and how complicated your estate is. A will is a legal document that directs the distribution of your assets. These documents are subject to state probate upon your death. This means that a probate court will be presented with your last will and testament, and a lawyer and judge will provide for an orderly distribution of your assets. The court supervision also means that an executor will have to be appointed by you. The executor’s job will be to gather all necessary paperwork and manage all bank (and other) accounts until all assets have been distributed to their rightful beneficiaries. You must also use a Power of Attorney or a provide for a conservatorship to manage the assets after your death. The costs for the probate process vary by state, but generally there are fees payable to the lawyers involved as well as the court. Wills not only give you the ability to distribute assets but to provide for guardianship of minors in your care. The court will make a final decision about the guardianship of any minors, but the will gives you the ability to nominate such guardian instead of having the court appoint one for you. A trust is a legal document that functions as a separate legal entity (similar to a person). These documents are not subject to probate proceedings, they avoid the cost of second-state probate where there is out-of-state property, and there is no automatic court supervision to deal with disputes. As a result, trusts often remain private and are not recorded in the public record (unlike wills, which are). Trusts are idea when you have substantial assets and you want to avoid a high cost of probating a will. They’re also good for when you want your affairs to remain private. Establishing the trust is done during your lifetime, and a pour-over will is drafted at the time the trust is set up. This allows you to place property into the trust during your lifetime. You lose ownership of the property in the trust, but you can always make changes to the trust document and get your property back at any time. The pour-over will allows you to hold back some of your property until your death. The will then immediately transfers your remaining property into the trust for distribution. You must specify how the assets will be distributed and whether a court will be involved (making it a public affair) or whether an executor and a lawyer will handle everything (keeping it private). While trusts have a higher upfront cost than a will, they provide you with more flexibility and may provide your heirs with much lower costs in the long-run after you die.